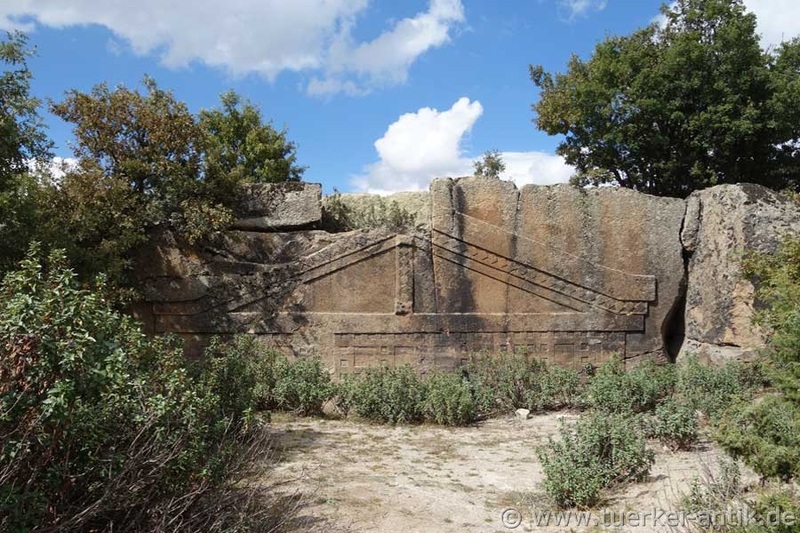 The temple façade Maltaş was completed in the 7th century BC and is comparable to the Midas tomb in Midas City and the freestanding Arslankaya. 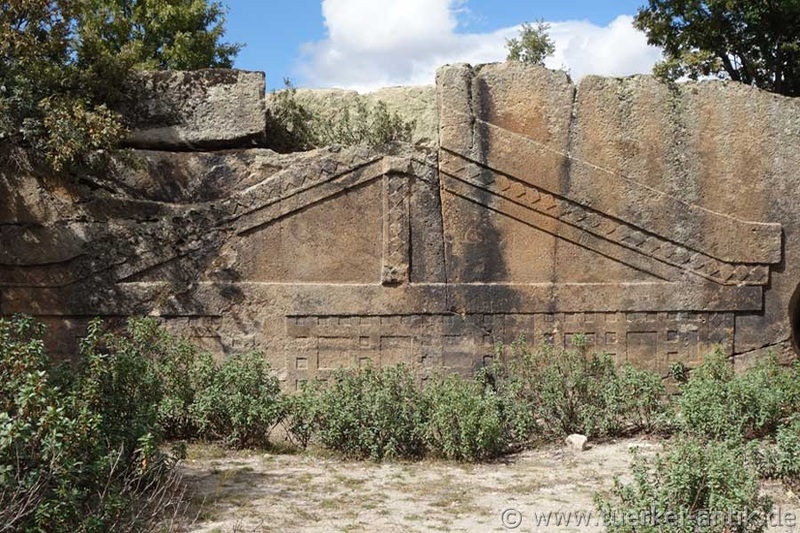 These facades were up to 17 meters high, were closed at the top by a gable and had a central niche with a cult image of the Kybele at the bottom. 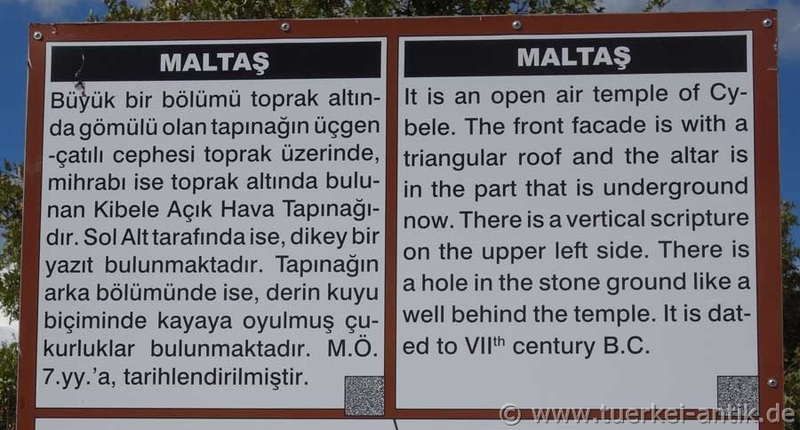 The 9 m wide facade of Maltaş is covered by the ground up to the gable, about 3.5 to 4 m are still visible. The front and the pediment are framed by a diamond band, a geometric pattern can be seen on the façade. 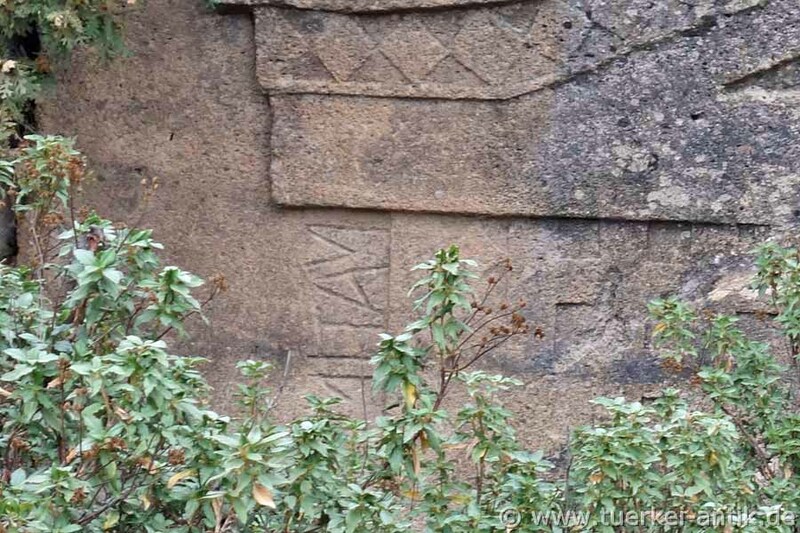 On the left side you can see an inscription in Phrygian script. 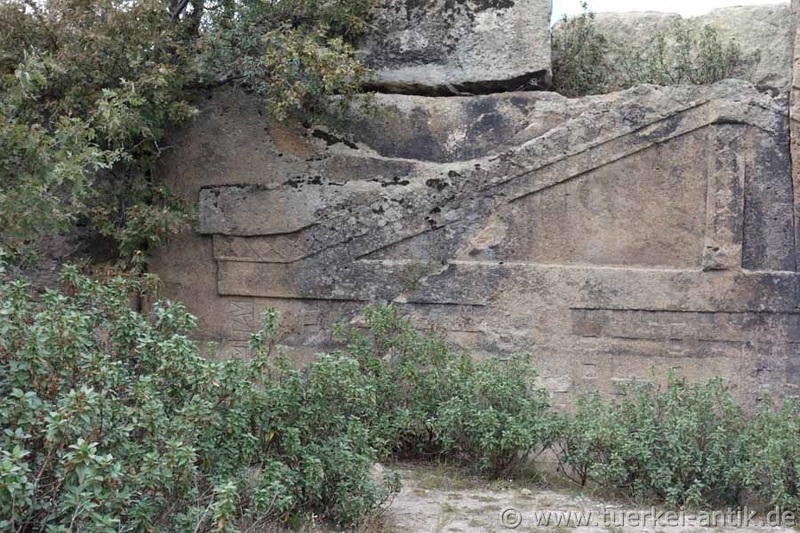 Excavations in the 1930s revealed a niche and other inscriptions. 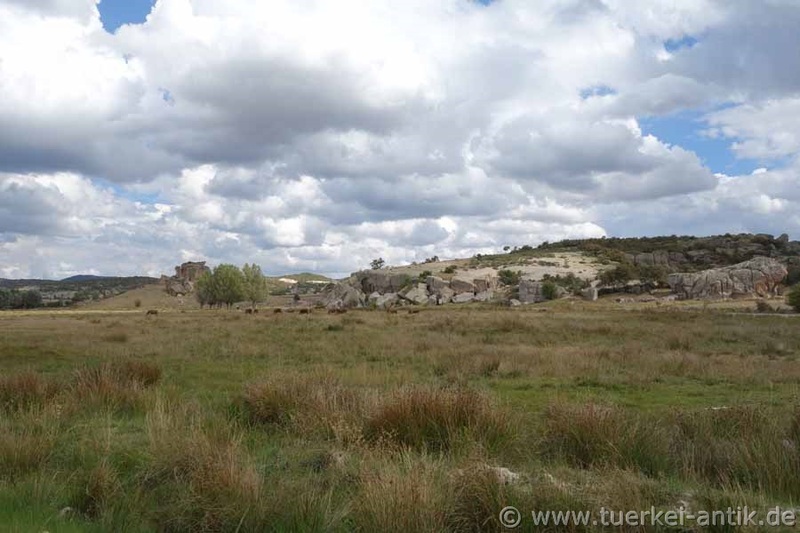 The temple façade Maltaş is within sight, 700 m from the Phrygian rock chamber tombs Aslantaş (Lion's stone) and Yilantaş (Snake stone), on a dirt road that is easy to drive on in dry weather.